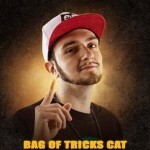 Today Matt welcomes Arizona rapper Bag of Tricks Cat. Curious about the name? 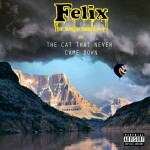 Behind it is a sentimental story of how the rapper owes his deep love of music to his grandmother, Ann Bennett, who sang the “Felix the Cat” theme song in 1959. 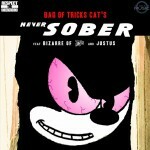 Although Bag of Tricks Cat has taken his music career in different directions, the love of music remains and is currently firing the production of an LP called Cat’s Out of the Bag, which will feature his already-released singles “Never Sober” and “Dream Girl”. The full album will be released in Summer 2016. With Matt, Bag of Tricks Cat discusses his biggest influences; his writing process; and close collaborator, touring mate, and former Autographs guest Mega Ran. He also chats about the video shoot for the “Dream Girl” single and about how the new record will differ from his previous, The Cat That Never Came Down. alternative hip hop, hip hop, indie rap, interviews, rap. Bookmark.